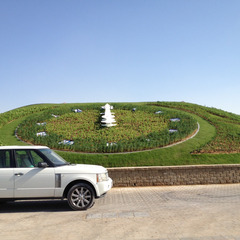 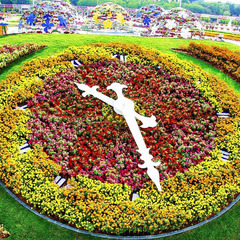 Landscape clocks (sometimes referred to as botanical clocks, floral clocks, or flower clocks) are built on the premise that nature or landscaping will be used to accent the features of the clock, often using flowers and hardscape materials for the dial. 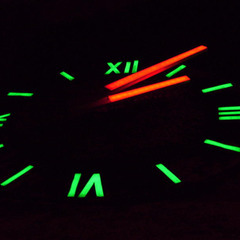 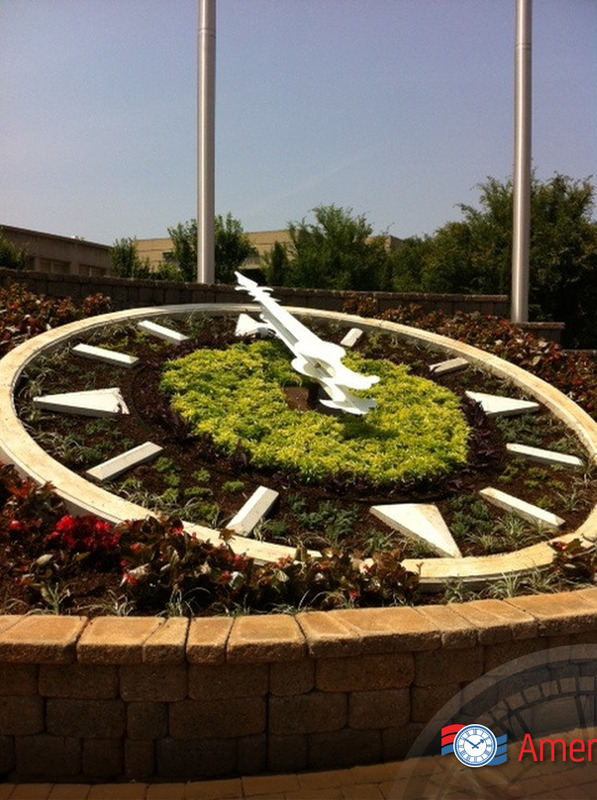 These elegant clocks serve as the focus of attention for a business, town/city center, office park, or garden. 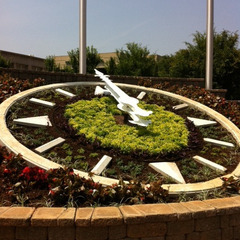 Let Americlock design the centerpiece of your landscape. 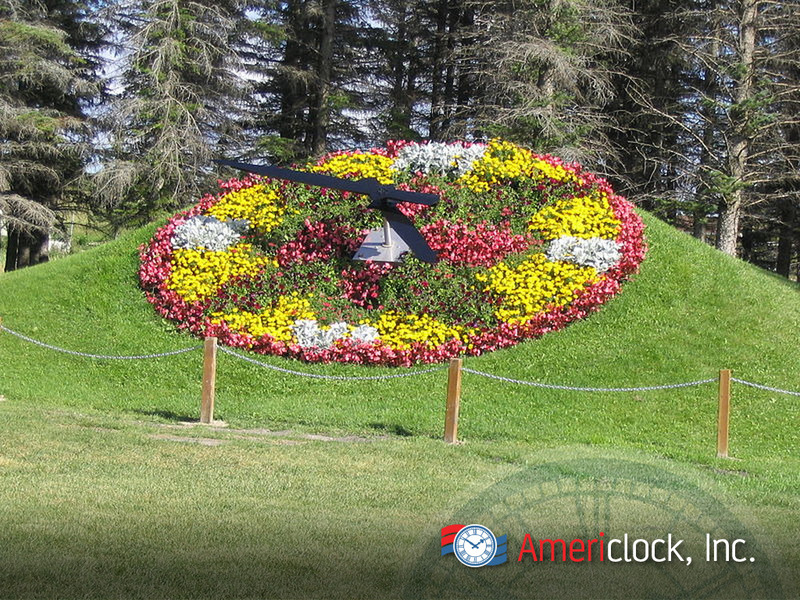 We design and install exterior landscape clocks ranging from 6’ to 40’ in diameter and they are often installed at an angle for maximum visibility. 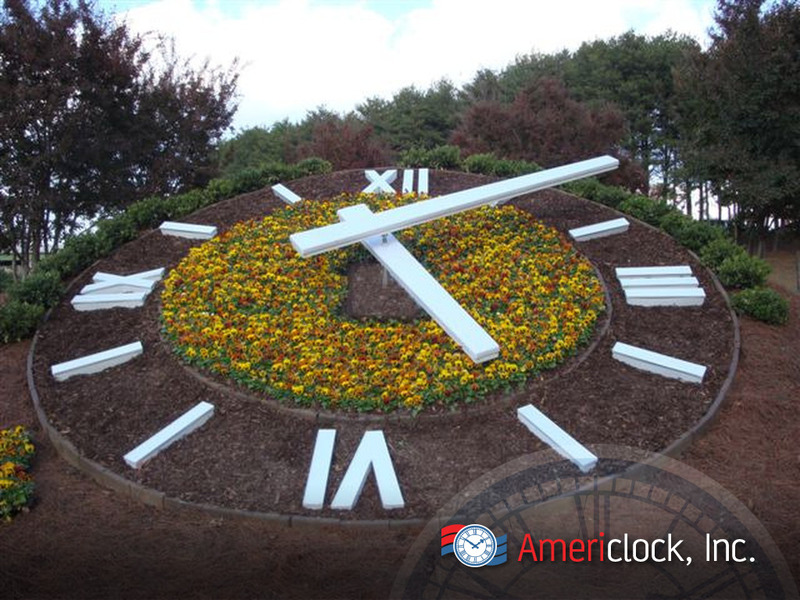 Whether you prefer an outdoor garden clock that is traditional or a clock with a modern design, we can help you design the right floral clock. 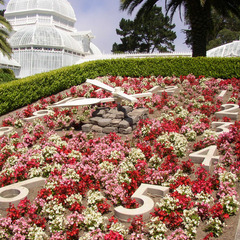 Clock hands can be ordered in solid, hollow or even with plant beds for placing flowers within the clock hands themselves. 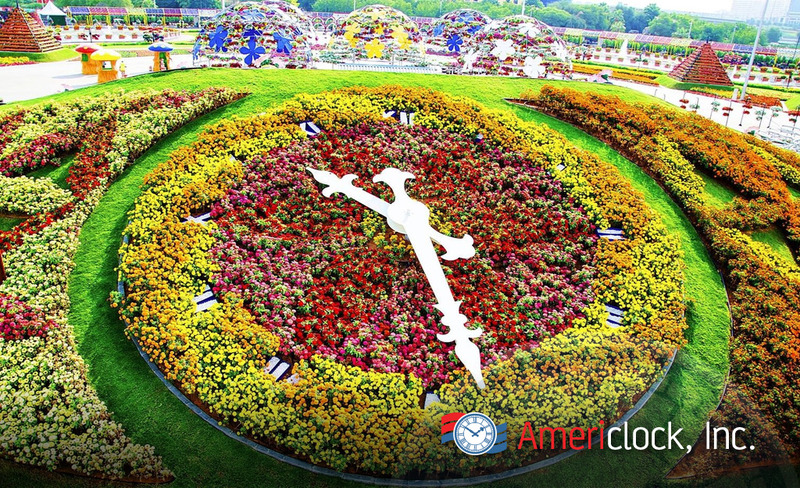 We fabricate hands of any size or shape to reflect your floral design requirements. 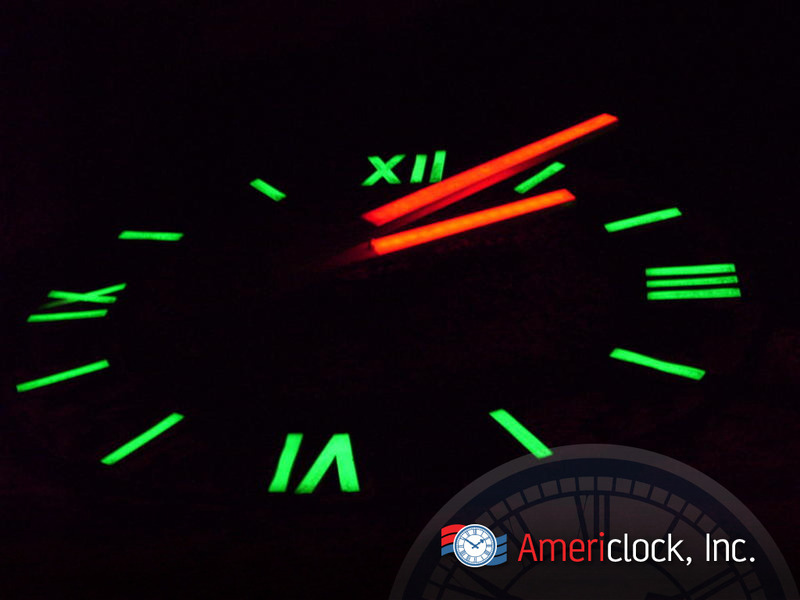 Your clock’s attractiveness factor can be extended beyond daylight hours with internal illumination options in a array of colors. 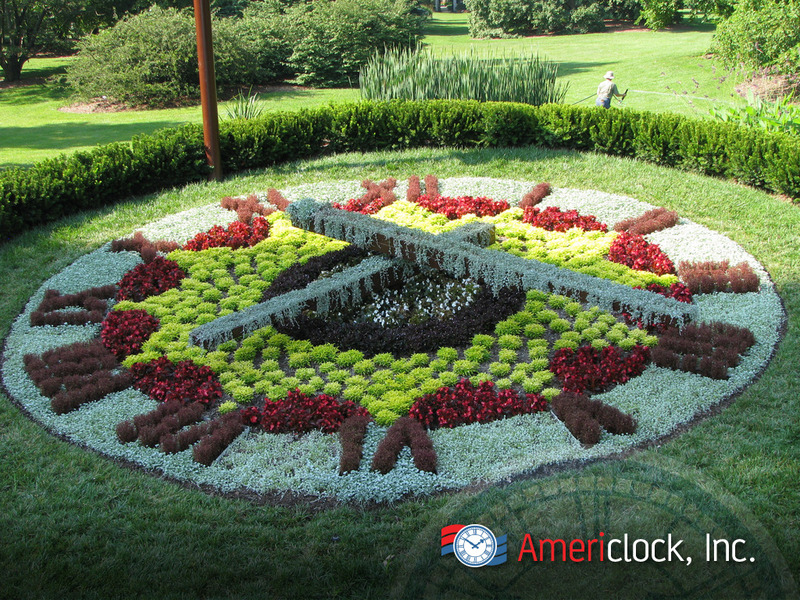 Our floral clocks dials can be designed with a zero maintenance landscape or they can be built to receive new plants in accordance with the seasons. 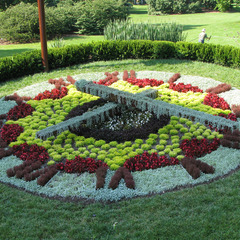 They offer countless variations as plantings can be changed seasonally or yearly. 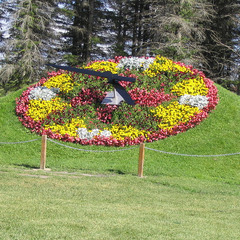 Because outdoor floral clocks are usual located at ground level they come with a unique safety mechanism that helps to protect the movement gears from force or vandalism. 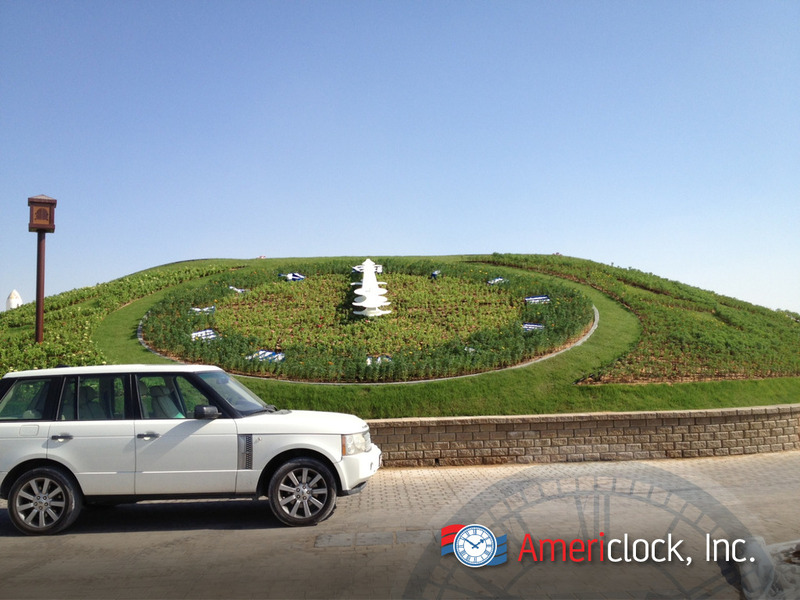 In the event that a hand is turned by force, the internal clutch mechanism will help shield the gears from breakage. 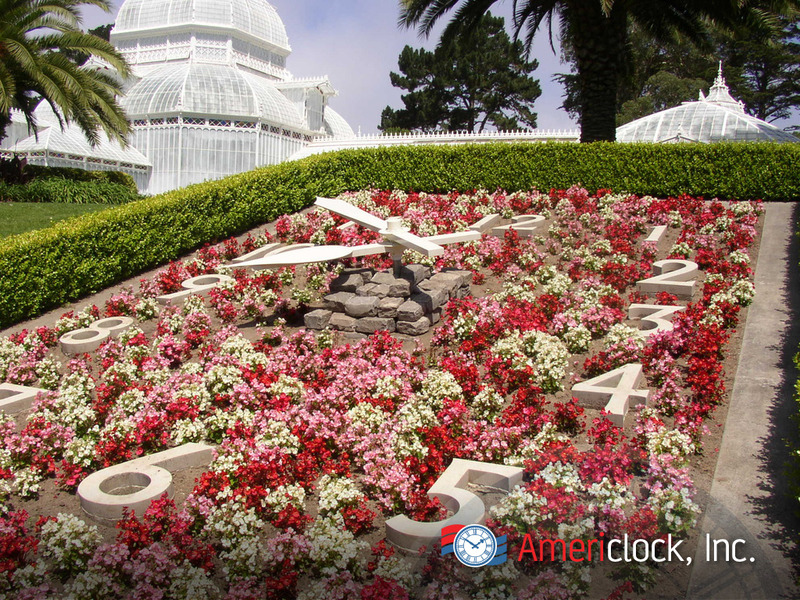 Americlock’s floral clocks grace landscapes in the United States and around the world in all types of climates with many different plantings. 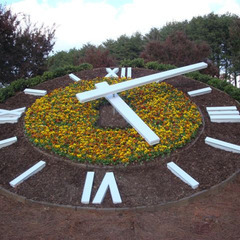 As one premier floral clock companies in the world to build large custom landscape clock features such as the ones that you see below, exterior flower clock projects are one of our specialties!